The Yes on 67 campaign goal was to uphold the SB 270 bag ban legislation that was passed by the state legislature in 2014. This time, the issue was put before a popular vote. After six years of advocacy to the California state legislature, a bill to ban plastic bags was signed by Governor Jerry Brown in September 2014. Unfortunately, due to the political maneuvering of the big plastics industry, the bill was stalled and put on the November ballot as Proposition 67. 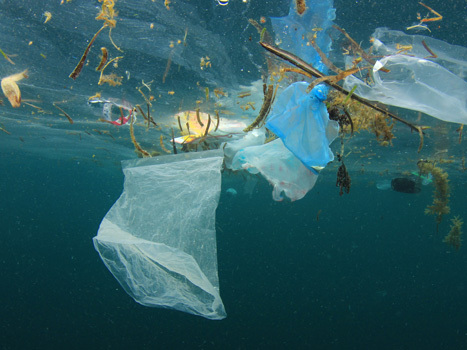 The California voting public took action on November 9, 2016 to keep the first statewide bag ban and start to properly address plastic litter that is impacting the ocean at alarming rates. Surfrider Foundation, along with a strong coalition of environmental organizations like Heal the Bay, Environment California and Californians Against Waste, supported a “YES” vote on Proposition 67 to uphold the CA Bag Ban. The bag ban garnered almost 54% of the total voters affirming a statewide bag ban, which goes into effect immediately. The statewide ban applies to all grocery stores, food marts, drugstore/pharmacies and convenience stores, but does not apply to farmer's markets, other retail stores, like clothing, home improvement stores, and restaurants (although some pre-existing local bans do apply to these stores). If you would like to report a covered store that is out of compliance with the law, Surfrider Foundation recommends contacting your local city's Environmental Services Department. CalRecycle's FAQ on the law states that you can also contact the Attorney General's office to report violations. For more details on implementation, see this blog.